Everyone has a fine wine that they’re not planning on drinking right away. Whether it’s a nice bottle received as a present or a wine bought on release, maintaining ideal conditions will be important if you’re considering long-term storage. 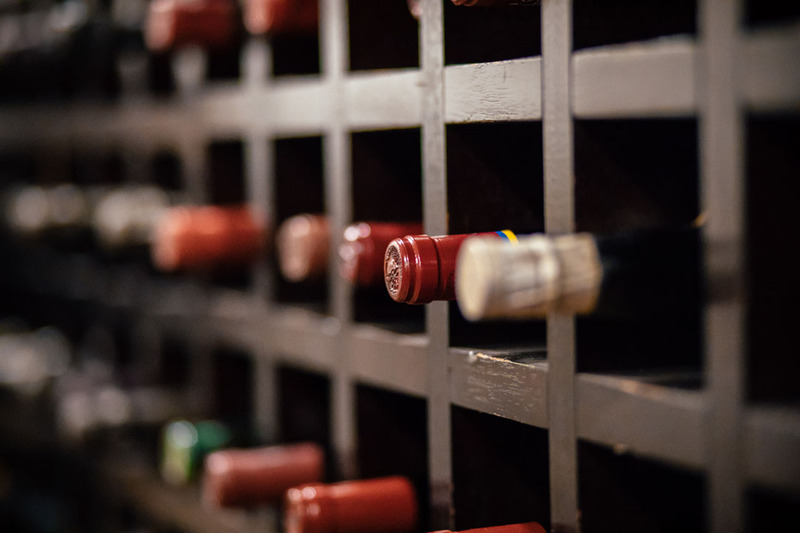 While it’s well known that fine wine can improve with age – in terms of flavour and value – it can also deteriorate if stored in lacklustre conditions. If you are serious about storing wines to mature them to their maximum value, professional storage is key. In many facilities wine is stored under bond in temperature-controlled storage. This gives it the best chance to reach its full potential both in terms of taste and value. Maintain a consistent temperature: Wine hates heat, so fluctuations in temperature can cause serious problems. The ideal temperature to store wine at is 12-13 degrees centigrade, however, a degree or two either side is still ok. Consistency is key. Don’t let it get too cold; a garage may be cool in the summer but your wines could freeze in the winter. Control the lighting: UV is not good for fine wine; it’s the reason most red wine comes in coloured bottles; think sunglasses for wine! Even artificial lights can fade labels; they also have an effect on temperature. Basically, store wines in the dark and don’t leave the lights on for too long. Keep bottles horizontal and a degree of humidity: Wine has always been stored lying down. It keeps the liquid against the cork, which stops it drying out. The cork must also be stopped from drying out, thus some degree of humidity is required. Keeping wine on its side is also space efficient. If your wine came in a wooden box it’s best to keep it there. So where should I keep my fine wine? If you don’t have professional wine storage facilities or an underground cellar there are some simple steps you can take. Avoid the kitchen, laundry and boiler room at all costs; find a consistently cool dark part of your house and choose a spot away from natural light. For those willing to invest in having professional-grade storage in the home, temperature controlled wine coolers are the best option around. For those of you who used to stick them in a rack by the AGA in the kitchen, try the cupboard under the stairs instead! Looking to sell your fine wine collection? Get in touch with The London Wine Cellar today.